In our opinion entrepreneurial success isn’t based on the achievement of sales and profit goals, but on the belief of being able to help people with our products. Healthy economic foundations are necessary for the achievement of such a goal, but they are not the purpose of our business. We view the key focus of our work to be on improving people´s quality of life..
Those who develop innovative solutions have to make enough time for such developments. It is only in this way that our own quality aspirations and our long term success can be secured to the benefit of our company, our employees, our customers and their patients. This means that our company’s technological leadership doesn’t make us rest on our laurels, but forms the starting point for brand new efforts. BioPolymer works with and for people. For this reason, we take the responsibility we have for our products very seriously. The optimisation of modes of action and injection characteristics, as well as the purity of the materials that we use all represent challenges which we set ourselves on a daily basis. Sound and long term cooperations with our customers form the cornerstone of our commercial success. We also attach importance to ensuring an open and honest communications culture. And we also view constructive criticism as an opportunity for our further development. This applies not only to our dealings with our partners, but also within the company. With its entrepreneurial activities, BioPolymer works hard to improve the quality of life of people. An important factor in guaranteeing a high quality of life is an intact environment. For this reason, BioPolymer is committed to compliance with all of the current environmental regulations and also works hard to continually develop operational environmental protection in the areas of production and development. BioPolymer evaluates the environmental effects of its actions as early as possible and prevents damage to the environment as far as possible. This also includes clarity of regulations in the areas of the disposal of waste and in the production loop. The entire value added chain is also focused on with the environmental protection measures, from the retrieval of the raw materials, to production to packaging and through to logistics. Our concentration on the production location of Germany isn’t just an expression of our own aspiration to quality, but also of the ecological consciousness of our company. Our experience, our specialist medical knowledge, our practical orientation and our technical know-how are all key parts of the BioPolymer success concept. These competitive advantages primarily manifest themselves in our employees who contribute to the development of new products and manufacturing procedures with their skills and knowledge. The basis of the entire BioPolymer product range is the CRM® technology in which a special and unique cross section of non-animal sourced hyaluronic acids is established (CRM® = Covalent Reticulated Matrix). The result is a Hylan Gel preparation which has a range of differing advantages compared with other dermal fillers. Thanks to this innovativecreation, it is possible to gain a substance which is of supreme purity and with which immune reactions can be almost completely excluded. This means that safety levels are superior for doctors when they use the dermal filler and patients as well. The further advantages of the CRM® technology include the balancing of the technological aspiration for optimum injection characteristics on the one hand, and achieving a longer retention period in the tissue on the other. The biological compatibility (biocompatibility) of the product has been proved in independent laboratories for the testing of medical products. 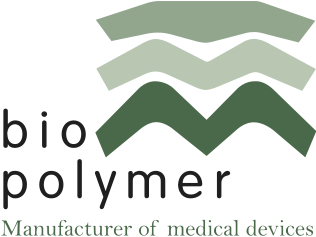 With the CRM® technology, BioPolymer is able to demonstrate a procedure which is currently unique in terms of the combination of its advantages. This not only applies to the high degree of purity due to the special cross linking of the hyaluronic acids, but also to the related minimisation of immune reactions. As a general principle, implants which are based on hyaluronic acids decompose over time through the hyaluronidase- and hydroxyl radicals. In this context, an important advantage of the CRM® technology is that through CRM®, the surfaces available for this process of dissipation are limited. In combination with a concentration which is higher at the same time, the decomposition is also impeded. The cross linking, through which the hyaluronic acids are stabilised and their life spans increased, also plays a key role.